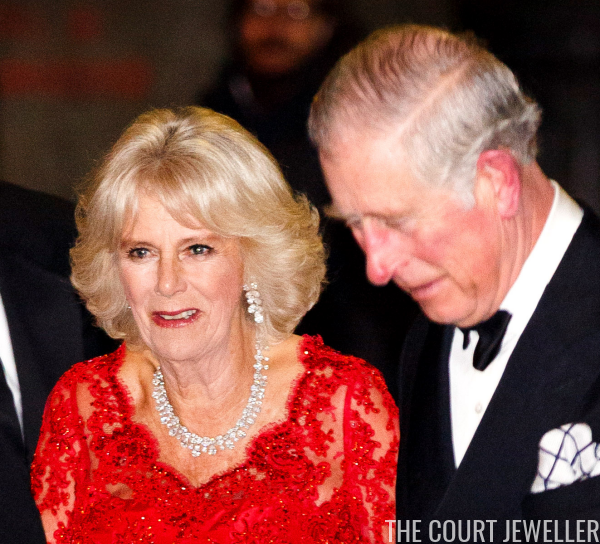 The holiday season is in full swing, but we've still got lots of royal jewelry to sigh over. Don't forget to vote for your favorite pieces! 10. At the opening of an exhibition in Madrid on Friday, Camilla of Bourbon-Two Sicilies wore a pair of interesting statement earrings. 8. For a symposium in Rome, Queen Letizia of Spain wore earrings with a large moonstone pendant drop from Tous. 7. 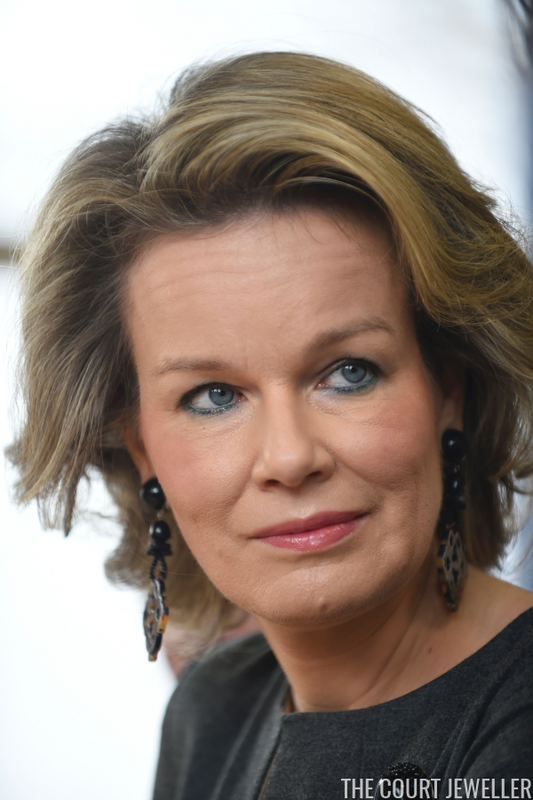 Queen Mathilde of the Belgians wore dark earrings and a coordinating brooch for a visit to the Public Center for Social Actions in Namur on Thursday. 6. 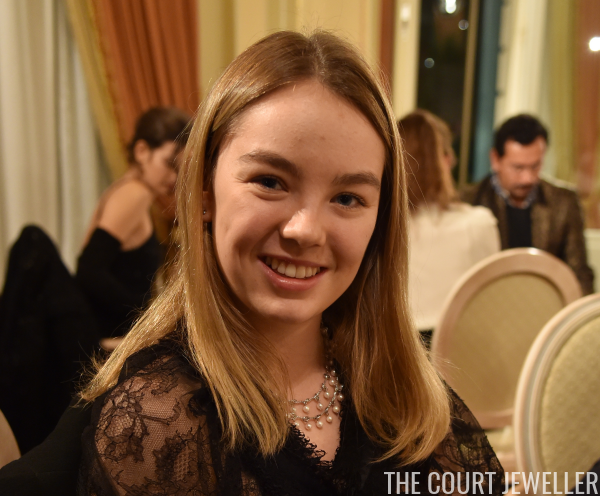 Alexandra of Hanover, the younger daughter of Princess Caroline of Monaco, wore a lovely necklace with pearl pendants and a delicate silver-toned star bracelet for a Chanel fashion presentation in Paris on Tuesday. 5. 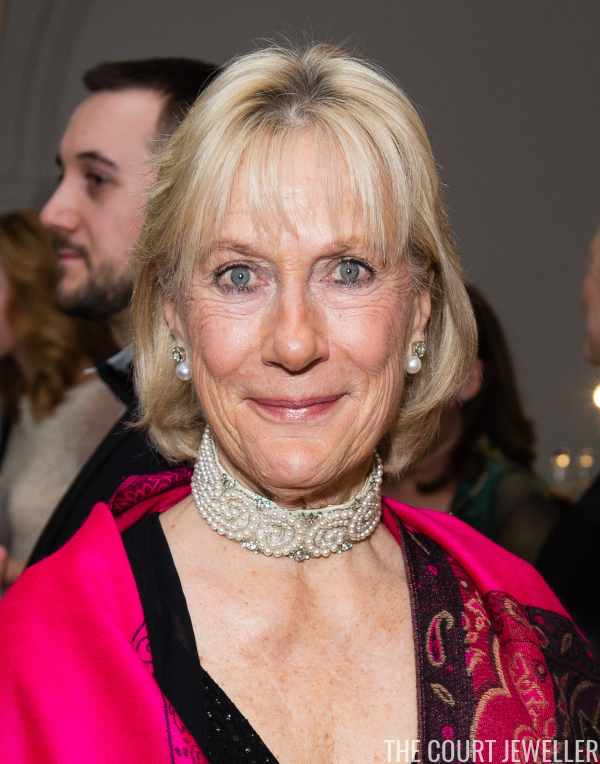 Olga Andreevna Romanoff -- a granddaughter of Grand Duchess Xenia Alexandrovna of Russia, who was the sister of Tsar Nicholas II -- attended the Eastern Seasons Gala Dinner in London on Monday. She wore pearl and diamond earrings with an interesting fabric-backed pearly choker necklace. 4. For audiences at Buckingham Palace on Thursday, Queen Elizabeth II of the United Kingdom wore one of the Nizam of Hyderabad rose brooches. 3. 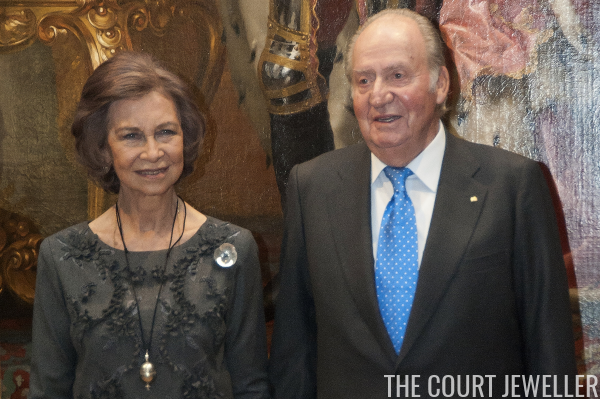 King Juan Carlos and Queen Sofia of Spain attended the Carlos III exhibition at the Royal Palace in Madrid on Monday; Sofia wore a really interesting pearl pendant and a brooch that appears to be a mother-of-pearl floral design. 2. 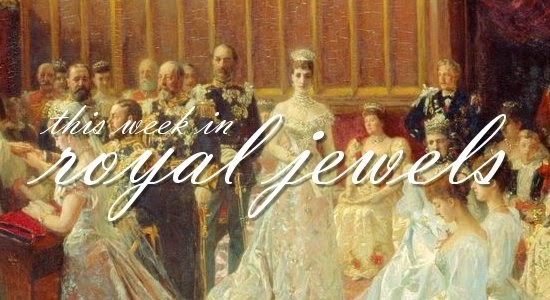 The Countess of Wessex gave us a jewelry surprise on Wednesday: she borrowed a diamond demi-parure from the Queen. 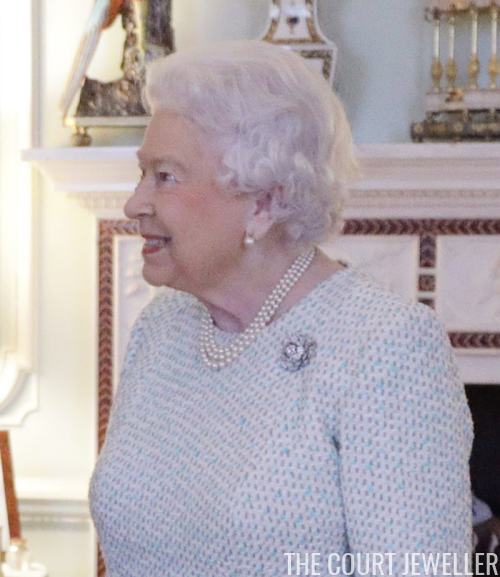 The set includes a diamond choker necklace and bracelet; the Queen hasn't worn it in public for years. Sophie wore the jewels for the Golden Ball, which benefits England Hockey.